We use the high quality raw materials with baking varnish, dressed with high-grade velvet. 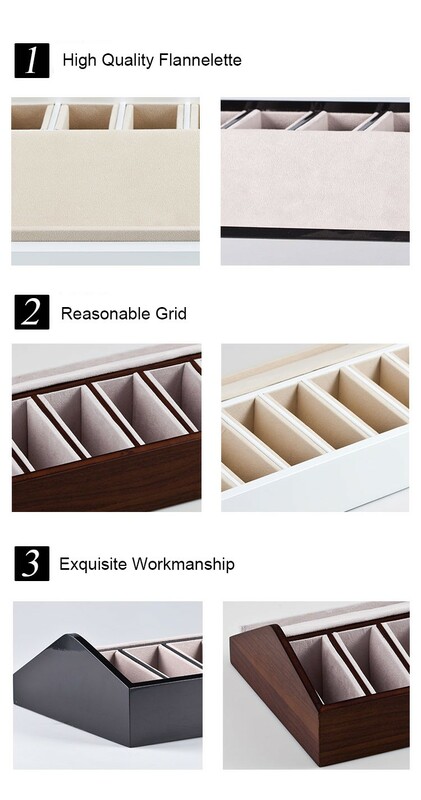 Multi-grid design can let you hold more products. It is a combination of the traditional and modem technology with comfortable touch feeling and perfect work. Our company make the design and actual production achieved by combining rigorous seriously, helping the customers save cost of development to an extreme. Any questions, feel free to contact us. A: We are a 20-year-manufacturer engaging in the field of display products, and we have got permit of import and export as well. A: Yes, all Wooden Display Stand will be assembled. 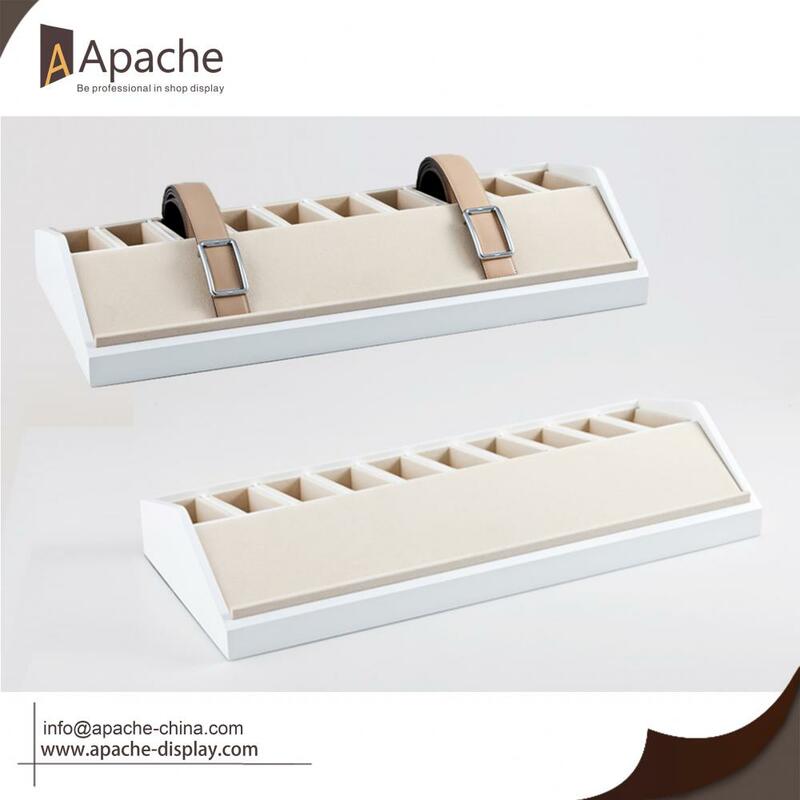 Looking for ideal Belt Counter Display Manufacturer & supplier ? We have a wide selection at great prices to help you get creative. 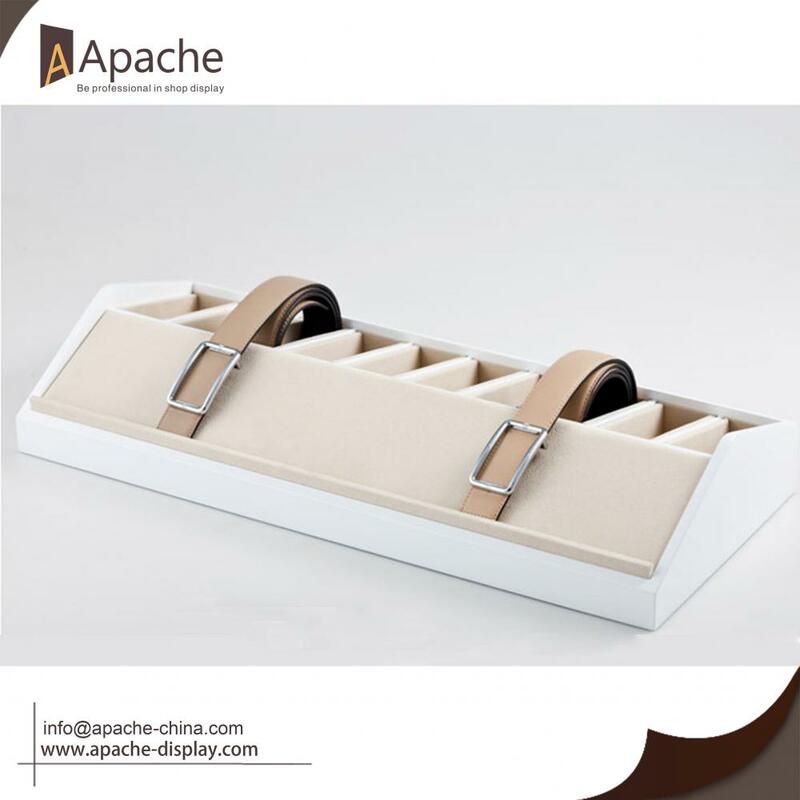 All the Belt Display Case are quality guaranteed. 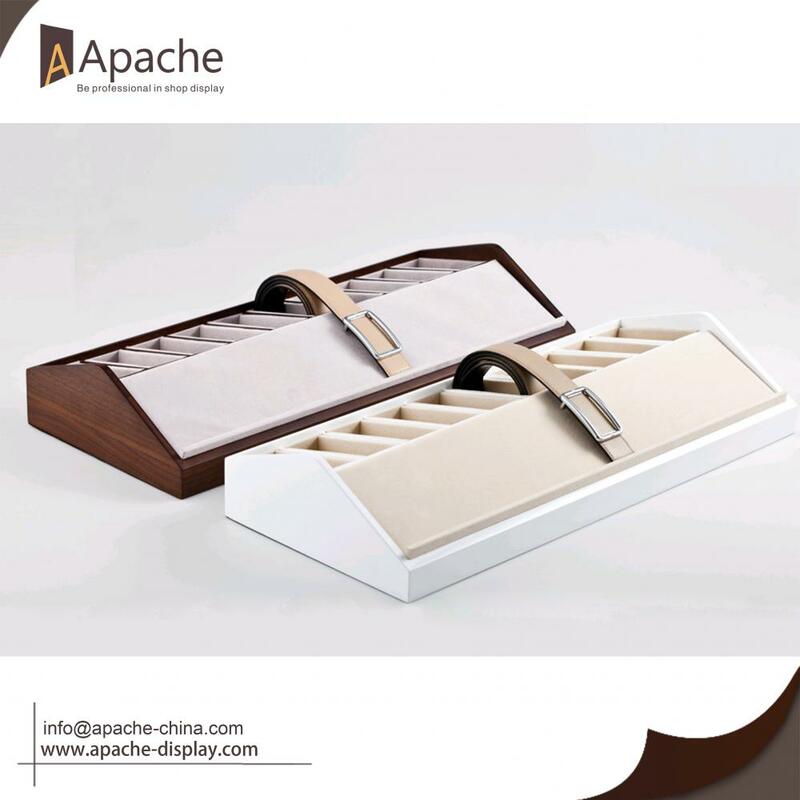 We are China Origin Factory of Wooden Strap Display. If you have any question, please feel free to contact us.